Paul Keres — "the greatest player never to have been world champion" — was a legendary figure in chess. The depth of his conceptions and the elegance and beauty of his play rank him among such immortals as Alekhine, Tal, Bronstein, Botvinnik, and Bobby Fischer. As a chess analyst, Keres had even fewer equals. The first Soviet grandmaster with a regular column in an American chess magazine, his articles for Chess Life between 1968 and 1975 set new standards in chess analysis. Power Chess contains twenty-two of his best articles. 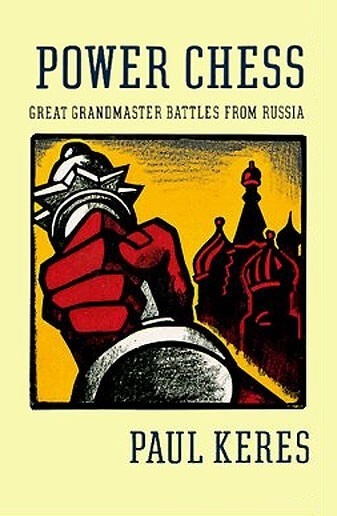 Here are incredible rook sacrifices by Bronstein, ferocious attacks by Tal and Spassky, heroic defenses by Korchnoi, subtle endgames by Petrosian and Karpov, uncompromising struggles by Keres himself — all profoundly analyzed by the greatest annotator who ever lived. Paul Keres was born on January 7, 1916, in Narva, Estonia. He was an Estonian chess grandmaster and one of the strongest chess players of all time, apart from the World chess champions. Many claim him to be the strongest modern player (since the line of official World Champions started with Steinitz in 1886) never to play in a world championship match. He was dubbed "The Crown Prince of Chess". He won the strong USSR Chess Championship three times (1947, 1950 and 1951), and finished a runner-up in the Candidates Tournament four times, never qualifying for a world championship match. He was one of very few players who had a plus record against Capablanca. Through his long career, he played against no less than ten world champions, beating nine (his games with Karpov were drawn). He was ranked among the top 10 players in the world for close to 30 years, between approximately 1936 and 1965, and overall he had one of the highest winning percentages of all grandmasters in history.